Nutrient dense and SO YUMMY! Nearly 90 degrees on the third day of Fall calls for burgers. 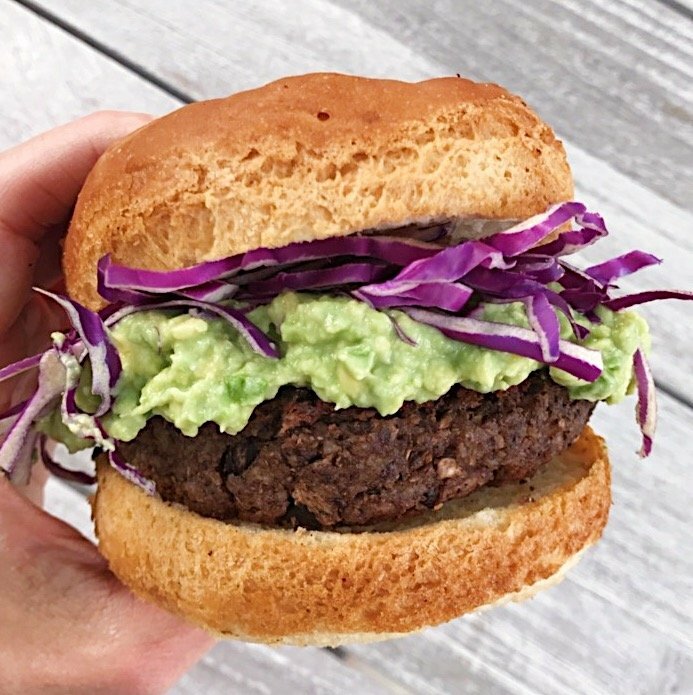 The boys ate classic beef burgers but my husband and I, always on the quest for the perfect plant-based burger, enjoyed these Black Bean and Mushroom Burgers topped with an Avocado spread and shredded red cabbage. They may be our new favorite! Recipe from Cooking Light, the burgers are made with black beans, cremini mushrooms, 1 egg, gluten-free panko, ground flaxseed, and spices like Worcestershire sauce, salt, pepper and cumin. They were super easy to make and seriously the best flavor. The Avocado spread is mashed avocado, a touch of yogurt (I used almond yogurt), and lime juice. Click here for the recipe from Cooking Light. Be sure to used Gluten-free panko and gluten-free Worcestershire sauce.